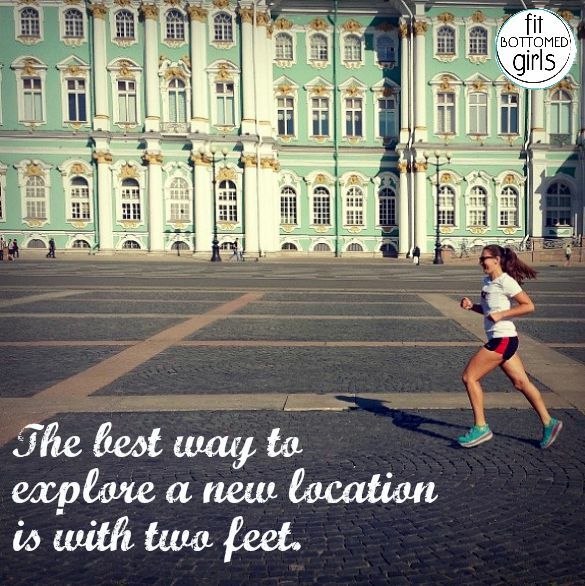 Like most runners, I’ve found the best way to explore a new location is with two feet. When I travel for work or leisure, the running shoes always come with me — together, we explore the sights, sounds and smells of our new surroundings while ticking off the miles. In the past, this has been a self-directed activity. Before the run, I’d review a map to plot out a course of general landmarks to run past, then lace up and go. If I saw something interesting along the way, I’d make a mental note or take a picture with my phone so I could look up more information about it later. Recently, though, my travels took me to Russia, where solitary exploration was not an option. Russian laws for travelers are complicated, requiring a lot of paperwork just to be allowed into the country (and even more once you’re at customs). Though I wanted to just pop onto the streets for a quick run through the streets of St. Petersburg, to do so required a sponsor — a Russian citizen or business who would basically serve as my handler during my visit. And that, my friends, is how I signed up for my first organized running tour. Sport tours are a rapidly growing niche in tourism, offering travelers a way to combine fitness and sightseeing by way of running, cycling, rollerblading or other self-propelled activities. Instead of boarding a double-decker bus to see the sights, sport-tour participants take to the streets with a tour guide to explore the area at ground level. Some tours are an hour or less, while others are multi-day stage adventures. Some are straightforward “see the sights” tours while others have themes, like a 5-mile running tour of four Milwaukee breweries (complete with pit stops for tasting). At first, I only signed up for a running tour out of necessity — I needed a sponsor, and I didn’t want to see Russia from the back of a bus. I didn’t think my experience with a running tour would be any different than what I usually did running through the streets on my own (for free, mind you). Once the tour started, however, I realized I was so wrong. Running tours are money well spent. Heading to one of the many beautiful landmarks in St. Petersburg! The obvious benefit of a running tour is having a tour guide who shares an interesting narrative of the surroundings — historical information, pop-culture tidbits and insider info about what you’re seeing really makes the miles go by faster. It also gives far more insight in far less time than trying to remember interesting places and conduct research on your own. What surprised me, however, is how comfortable I felt. I had never realized this before, but I carry a bit of tension with me when I run on vacation. 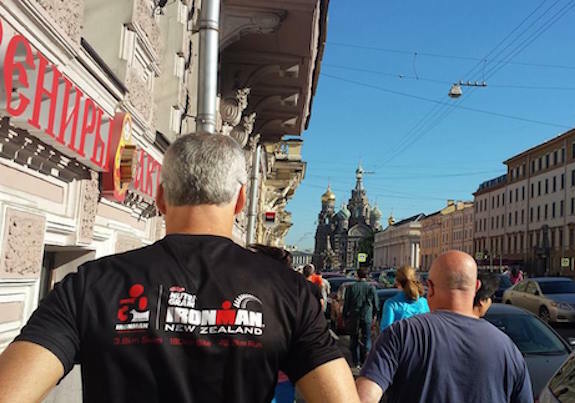 My Russian running tour was the first time I didn’t worry about taking a wrong turn somewhere. Though getting lost can be fun, it can also be scary, especially if you don’t speak the language of the country you’re visiting to ask for directions. It can be really scary if you end up in an unsafe environment (I’ve got a story about Baltimore, guns and my fastest sprint ever to illustrate this point). The experience was further enhanced by the company of my running group. Instead of logging my miles independently, I ran with a widow from Japan, two professors from Germany and a restaurant owner from Reno. It was cool to swap stories and realize how different — and how similar — we were as runners. Though I signed up for this tour simply to comply with Russian laws, I’m glad I had this experience. In the future, I plan to incorporate more running tours into my travel plans. This sounds like a blast! I’ve honestly never heard of a running tour. I’ve heard of biking tours and have that on my bucket list for future adventures with my husband, however I”d never thought of a running tour. 🙂 I’ll definitely look into these in the future.